FIR which stands for First Information Report seems like a simple process, but in reality is a lot trickier. There is a lot more which meets the eye. I’ve already written an articles regarding the basics of FIR. Now the law says that the Police must register a FIR for a cognizable offence. I’m sure you must have heard of situations where one person threatens to file a FIR against another person. As a result, that other person literally loses his appetite and sleep thinking whether a FIR has in fact been registered against him or not, and if that is the case, then what are the allegations against him. He needs to know this so that he can take suitable action before he is [possibly] arrested by the Police. 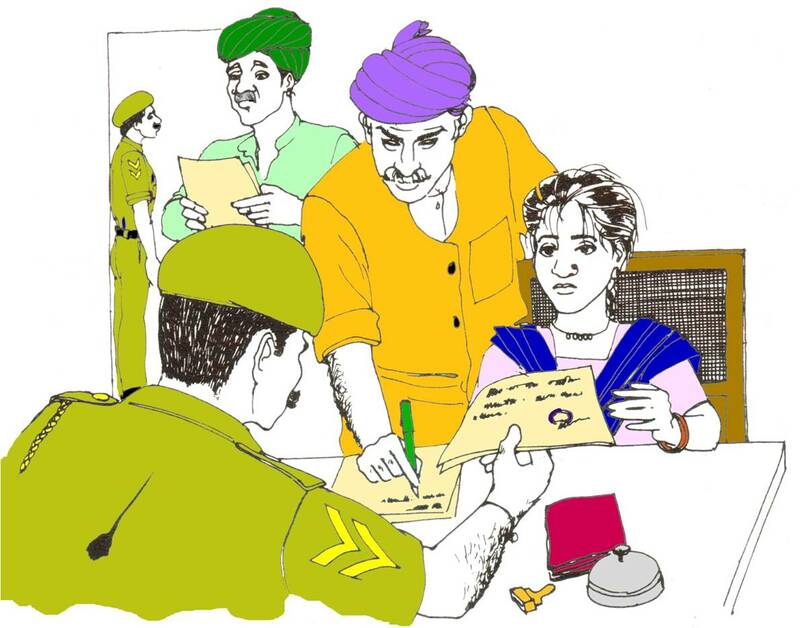 Up till now, finding out whether there is a FIR against you or not was a very tricky affair. In all honesty, it required knowing somebody in the concerned Police Station who may give you a tip regarding the same. But what about an average citizen with no connections, but is afraid that he may be implicated into a false case. Those who do not have high profile connections with police or lawyers, were simply living in fear and wondering whether there is a FIR against them or not. Well obviously, the law cannot stop anybody from filing a complaint against you, and the Police has to register a FIR and proceed accordingly. Whether the complaint was genuine or false is something to be discovered during investigation. Now the real concern over here was how do you ascertain whether a FIR has been registered against you or not, and if yes, then what are the contents of that FIR. FIR is an abbreviation of “First Information Report” and is provided under Section 154 of the Code of Criminal Procedure, 1973 and it is the first step to set the criminal law in motion so as to enable the investigating authorities to obtain information about the alleged criminal activity and to take necessary steps to trace and apprehend the guilty. It is important to keep in mind that a First Information Report is lodged only to set the criminal law in motion by way of an investigation process and it does not constitute substantive evidence, however, it can be used as a first statement by its maker for verification or contradiction of the facts recorded in it. The very purpose of a FIR is to obtain early information of an alleged criminal activity and to record the events and circumstances before the same are forgotten or even exaggerated. Now the essential requirement for lodging a First Information Report is that there must be an information disclosing cognizable offence. “Cognizable Offence” simply means an offence of which the police officials have the authority to start an investigation without the permission of the Court and to make arrests without a warrant. Therefore, where an information relating to a cognizable offence is filed, the officer-in-charge of the police station is duty bound to register a FIR on the basis of the same. Non-registration of FIR by the police official is a clear negligence of his duty. It is also important to keep in mind that the law nowhere requires that a First Information Report can only be filed by an eye-witness or that the informant must have personal knowledge about the offence. Any person possessing the knowledge regarding commission of a cognizable offence by any known or unknown person can lodge a FIR. A person who is either a victim or a witness to a cognizable offence, may give a written complaint/information about the same to a officer-in-charge of a police station. If a person cannot write the complaint/information, then he may narrate the facts of the incident to the police officer and that the police officer will record the same in writing. The police officer who took down the complaint/information will read the same back to the person to ensure nothing was missed or wrongly recorded. The person who made the complaint will then proceed to sign the FIR and that the information will also be recorded in the station house diary. A copy of the FIR will be provided free of cost to the person who made the complaint. A person can also obtain a digital copy of the FIR on the Delhi Police website. This was just an introduction to Section 154 of the Criminal Procedure Code which provides for recording of a First Information Report with the police. I’ll talk about the effects and consequences of a delay in filing a FIR in upcoming blog posts. Have you ever faced any issues or difficulties with the police while recording a FIR? Do let me know in the comments section.